Day 120. The Last Hut. March 1, 2016. 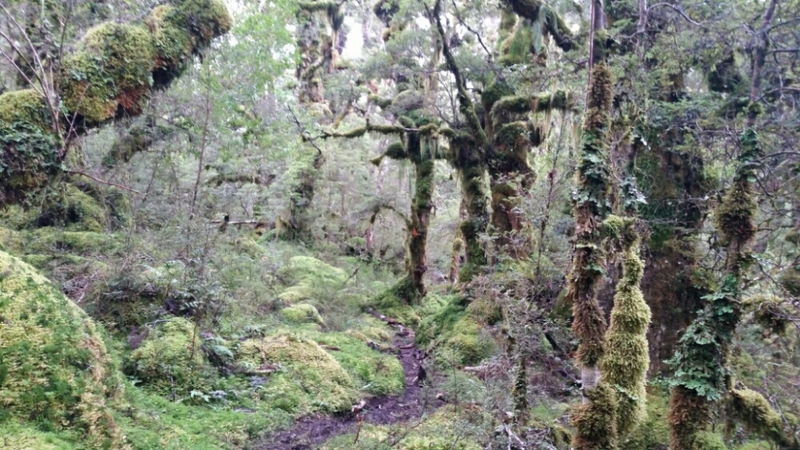 The start of the Longwood Forest Track km 2880 to Martin’s Hut km 2900. It rained all night and I slept well. Then I stepped into the muddy forest. The track went to 3 exposed high points which would have had magnificent views if it wasn’t foggy. 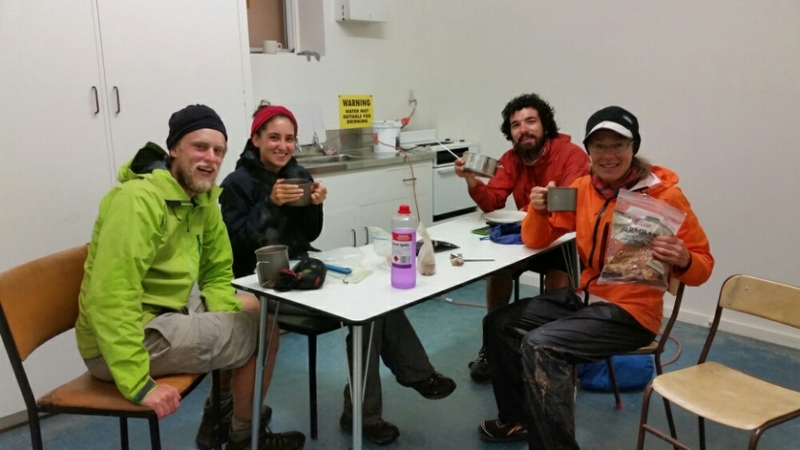 On top of the first one, Bald Hill, painters invited us into the kitchen where we made hot drinks. That was unexpected and awesome. The broad exposed mountain tops weren’t real high but nothing is higher. It was foggy, breezy and chilly. The trail had recently been brushed which made for much easier walking. Because of the recent rain there was lots of mud to walk thru. I am at the last hut. 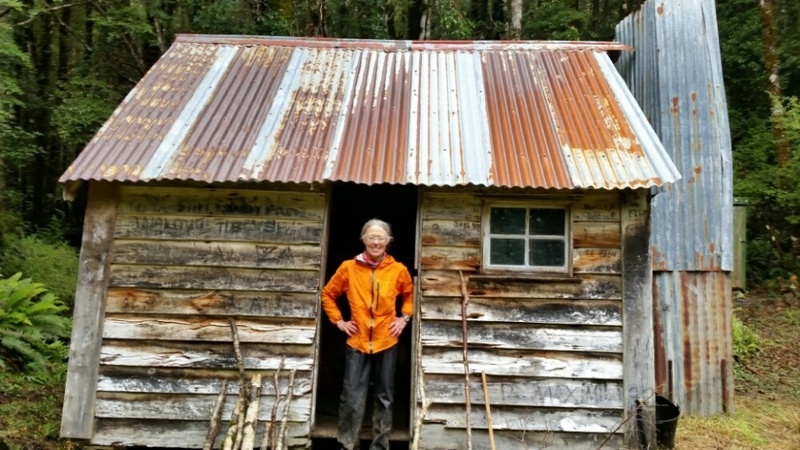 Martin’s Hut. It is an old one. 4 bunks. Holes in the floor and walls. It has a big fireplace and the fire has been going since 4:30. If the weather was nice out I probably wouldn’t sleep in here. But it’s still damp and foggy out and boggy around the hut. I walked with Alex and Helen all day. They are here. Paolo from Italy that camped where we camped last night is also here. Later Martin from Italy showed up. I had last seen him wearing a bra on Breast Hill. I am so close to the end. 107 kilometers. Probably 3 or 4 days. 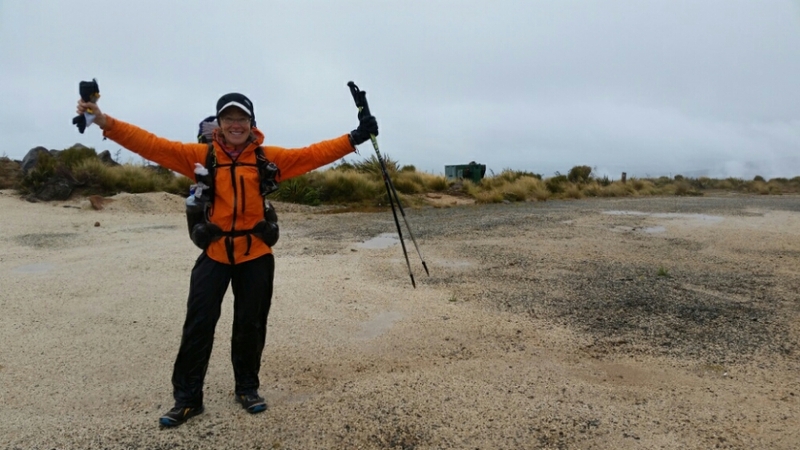 I don’t know what your plans are once you finish in Bluff, but I would highly recommend doing Stewart Island’s Northwest Circuit if you have a week to spare. 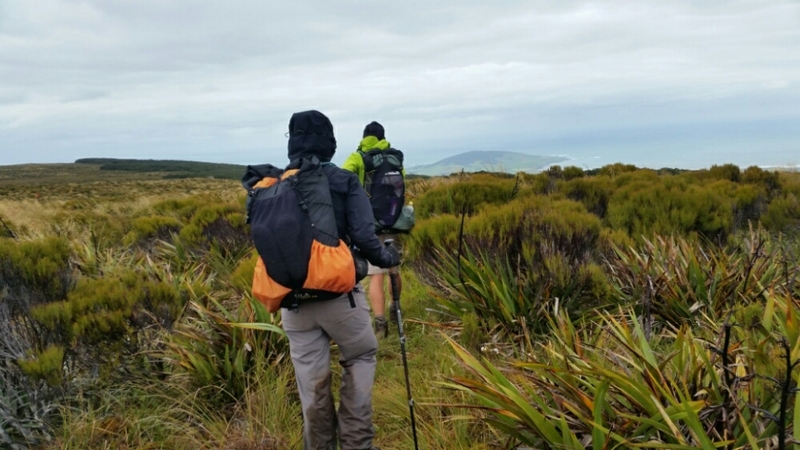 Wonderful trekking, great huts, and a good chance to see some kiwis (the flightless birds, not the people) :-). Enjoy the beachwalk into Invercargill.